Washington, D.C. leadership has requested input from a range of organizations as it develops a new “unified vision” and “comprehensive framework” for a more sustainable Washington, D.C. The end goal: to connect sustainability with economic development and become the number-one, most sustainable city in North America. Washington, D.C. is currently ranked eighth in a recent Economist Intelligence Unit report sponsored by Siemens. As part of this process, the American Society of Landscape Architects (ASLA) polled members from its Potomac, Northern Virginia, and Southern Maryland chapters and incorporated their input into a set of bold recommendations in the priority areas identified by the city government. There are a lot of great ideas in the list. My only comment is that, as always, most of the ideas seem to be geared more towards business and government rather than what the average property owner can accomplish from their own homes and yards. However, the report does reiterate many of the ideas that green gardeners follow, such as re-using water, using trees for shade, using native plants and providing spaces for wildlife in our own home landscapes. Anyway, here are some of the ideas from the American Society of Landscape Architects for a Sustainable DC. You can read the full report by following the link, above. If you want more ideas for how you, personally, can create a more sustainable DC, subscribe to the Metro DC Lawn and Garden Blog! Energy: Reuse brownfields as solar energy farms. Through revised building codes and local tax incentives, expand use of smart tree placement and green roofs and walls. Reduce building energy use through green infrastructure. Incentivize the use of rooftop solar panels. Climate Change / Mitigation: Reduce total greenhouse gas (GHG) emissions by expanding urban park land, further improving bike and pedestrian infrastructure, incentivizing the growth in the number of bicycle and pedestrian commuters, creating highly walkable pedestrian-only areas, and introducing new innovative forms of public space such as parklets and underpass parks. Climate Change / Adaptation: Increase coverage of street trees for shade and expand use of green and cool (white) roofs in order to adapt to higher average temperatures along with more varied temperature fluctuations within the District. 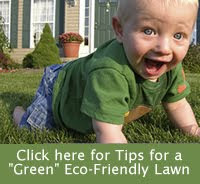 Improve building and landscape water efficiency measures. Develop resiliency plans for Washington, D.C.’s plant and animal life within parks and green spaces, including the introduction of wildlife migration corridors and heat and drought-tolerant plants. Water: Use Sustainable Site Initiative™ (SITES™) guidelines to improve water efficiency measures, require the use of appropriate plant species in public and residential landscapes, and enable rainwater capture and filtered or treated greywater (and even blackwater) reuse for landscape irrigation. In addition, approve the use of rainwater cisterns for irrigation of green roofs and other green infrastructure. Improve the permeability of the District’s park surfaces and their ability to capture and store water. Create multi-use infrastructure, or rain gardens or bio-retention systems in District parks, turning them into green infrastructure and water treatment systems. Continue to expand urban tree canopy and preserve larger trees to manage stormwater runoff. As part of a public education campaign, parks and public green space should follow the highest water efficiency standards. Transportation: Expand bike and pedestrian infrastructure. Create safe bicycle infrastructure. Connect the Metro system with bike infrastructure and bikeshare stations. Incentivize the growth in the number of bicycle and pedestrian commuters. Create highly walkable pedestrian-only areas, and introduce new innovative forms of public space such as parklets and underpass parks. Waste: Set clear, ambitious targets and deadlines for achieving zero waste in the District and measure progress against targets. Ensure all building materials are reused in new buildings (if the materials are non-hazardous). Use Sustainable Sites Initiative (SITES) guidelines for park maintenance and eliminate grounds waste generated from Washington, D.C., parks through composting. Built Environment: Invest in turning more brownfields into parks. Develop an Internet-accessible inventory of all brownfields in the city to enable easier remediation and redevelopment of derelict sites by local developers. Create a certification program for remediated brownfields to facilitate faster reuse. Invest in retrofitting older school buildings to make them LEED Platinum and also integrate green school redesign activities into school curricula. Nature: Develop a biodiversity and environmental education action plan based on the concept of biophilia. Recreate wetlands along riverfront edges and reintroduce native wildlife. Reduce the mortality rate of trees and extend their lifespan by enabling them to grow in larger tree pits with structural soils and under permeable pavements. Use appropriate trees grown locally for urban forestry campaigns. Experiment with growing trees in park nurseries. Food: Develop a comprehensive urban agriculture plan. Evaluate all available empty lots (including brownfield sites) as potential opportunities for commercial and community urban agriculture. Allow local residential food production. Allow and also increase tax incentives for rooftop food production. Green Economy: Invest in bicycle and pedestrian infrastructure improvement projects to boost job growth. Use green infrastructure systems, including green roofs, to increase number of local, non-exportable green jobs. Launch a comprehensive green jobs program, training chronically unemployed and former convicts in brownfield remediation, green roof installation, and other tasks. Launch a national campaign in an effort to lure the best green talent to the District. Governance: Organize watershed councils at the local level and appoint ward-level sustainability advocates to help implement and align SustainableDC initiatives. Use Sustainable Sites Initiative (SITES) guidelines as a management tool for achieving high-performing landscapes across the district.